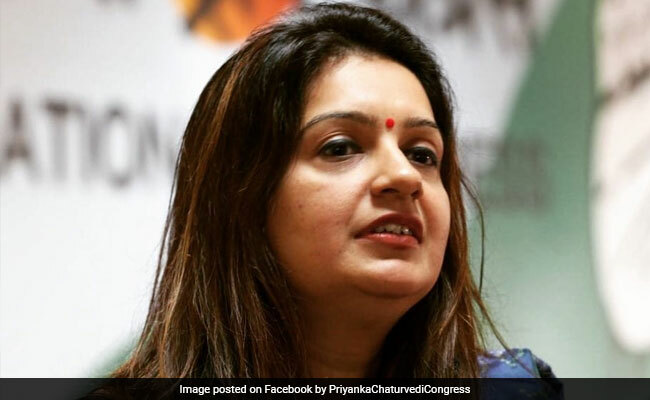 A few days ago, local Congress leaders had allegedly misbehaved with Priyanka Chaturvedi while she was attending a press conference at Mathura. Congress spokesperson Priyanka Chaturvedi on Wednesday went public with her resentment of her own party for taking back workers who had been thrown out for misbehaving with her. "Lumpen goons" get preference in the Congress over those who had "given their sweat and blood", she wrote in her tweet. "Deeply saddened that lumpen goons get preference in @incindia over those who have given their sweat and blood. Having faced brickbats and abuse across board for the party but yet those who threatened me within the party getting away with not even a rap on their knuckles is unfortunate," she tweeted on Wednesday.